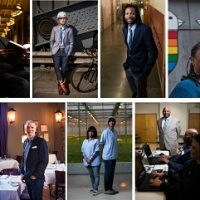 Last year, the Cleveland Foundation commissioned a series of 17 portraits by local artist Billy Delfs of those who are making our region a better place. We call them Place.Makers—the people behind the buildings, programs and places who are making our community a better home for all. 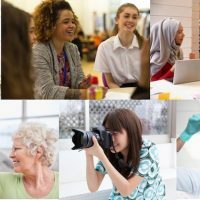 We unveiled them at our 2018 Annual Meeting, and the photo exhibition is currently on display here at the foundation. Our Place.Makers blog series will highlight each of these individuals so you can meet them all. This time around, meet Robert Madison. In 1954, Bob became Ohio’s first African-American licensed architect. He was rejected at every architecture firm he applied to because of the color of his skin. So, he started his own firm. It is not surprising that Bob would have the resolve to do that. 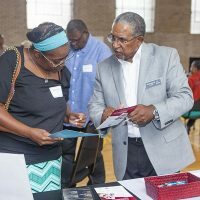 He is a World War II veteran, a Purple Heart recipient, a Fulbright Scholar, a graduate of Harvard University, and an energetic breaker of barriers. 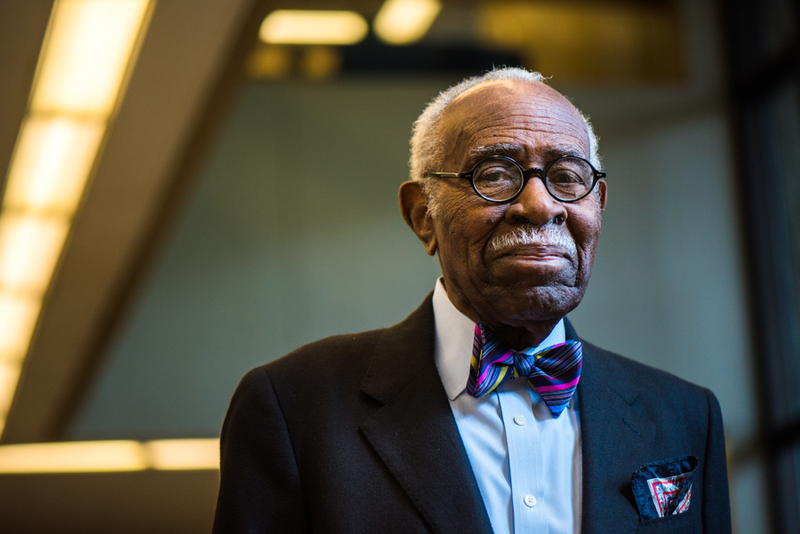 At 95, he’s also a philanthropist, offering a scholarship through the Cleveland Foundation to students of color interested in architecture, and acting as an ambassador for the foundation’s African-American Philanthropy Committee. You can see his architectural gifts across Greater Cleveland and around the world. In 1962, Bob designed the Medical Associates Building in Glenville for black doctors who couldn’t rent offices anywhere else. Now, the building is known as “The Madison.” It’s been restored as part of the PNC Glenville Arts Campus, a home base for artists from here and around the world, and the epicenter of the FRONT International Cleveland Triennial for Contemporary Art that took place over the summer. It will celebrate Bob Madison’s legacy for generations to come. Please stay tuned for more profiles in our Place.Maker series!